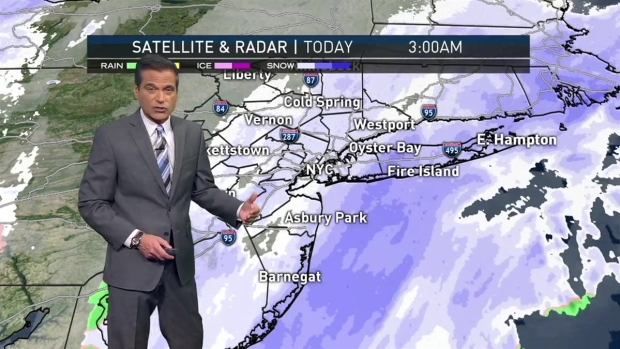 Snow showers passed through the region Tuesday morning, making roads slick and bringing nearly 8 inches of the white stuff to eastern Long Island. Greg Cergol reports. 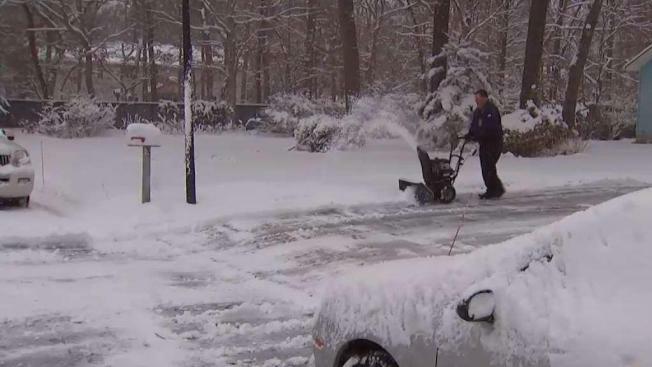 Snow showers passed through the region Tuesday morning, making roads slick and bringing nearly 8 inches of the white stuff to eastern Long Island, according to Storm Team 4. Suffolk County was hardest hit by Tuesday's storm, with 7.9 inches falling in Mattituck and 6.2 in Patchogue by 7:45 a.m. Police say nearly 150 car accidents were reported across the county before noon. For most, the snow was little more than a nuisance, leaving roads a little wet for the morning commute. Less than an inch had fallen in Central Park by 8 a.m., while similar amounts were recorded across northern New Jersey. Some parts of Queens saw an inch to 2 inches by that time. The snow showers tapered off by mid-morning, though a second round of light flurries fell later in the day. Meteorologist Chris Cimino has your forecast for Tuesday, Jan. 30. Meanwhile, temperatures will trend much colder Tuesday into Wednesday, with daytime highs in the 30s and lows at night in the teens and 20s. Wednesday and Thursday will both be dry, though, with partly cloudy to clear skies, and temps are expected to climb back into the 40s by Thursday, Storm Team 4 says. A chance for snow returns Friday as another cold front and small storm system move in, followed by a cold and dry weekend.